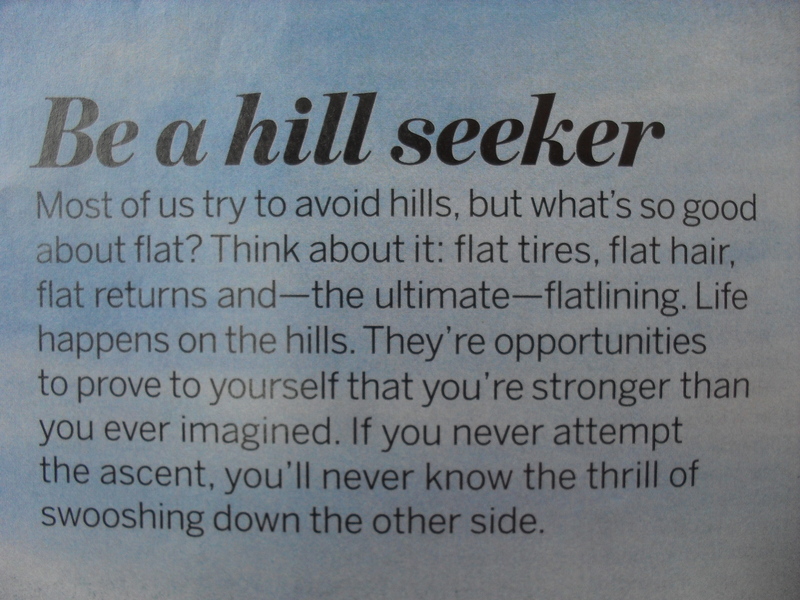 If you didn’t know, I love hills. I can feel myself getting crazy tired and wanting to start walking, but I get centered on my breathing or tell myself “Earn the downhill, earn the downhill!” and man… does that downhill feel amazing. After work, I went to Joe’s and I was ravenous! They had some beef ready, but since I had dissected some sheep heart earlier that day, I really didn’t feel like chewing anything so meaty. I quickly made myself a PB&J and it lasted for only two hours before Joe suggested I get some Subway. I’m really super weird, but sometimes I crave a fresh, toasty Subway sandwich. I think it’s because the night before my first marathon, I ate a Subway sandwich? Anyways, I got a foot-long turkey on 9-grain honey oat. I also added some of the onions that were grilled (with beef fat… I don’t enjoy a fatty beef as much as I enjoy the veggies on the side that are cooked in its fat) and I was craving some kimchi, which I ate in between bites. I ate a huge apple afterwards, and we watched some The Office before the family Bible study. Last night’s small group was postponed to 10:00PM, because Joe’s parents had something to do at their church that night. I kind of super duper love that we haven’t been cancelling/moving the small groups to another day because of something coming up (such as the night Joe and I celebrated Valentine’s Day or last night). Joe’s mom said last time, “No, if you move it to another day, it’s going to be so easy to do that again in the future.” Super true, yeah? Last night’s discussion was on Psalm 139: 1-12. Joseph led, and I feel like many of those verses jumped out at me. Read for yourself and see what catches your attention or speaks to you. It is a psalm of David, and it’s quite beautiful how he expresses how the Spirit is always there, even through the bad times. Stairmaster: Started at level 11 (which feels pretty slow now!) and went up every 4 to 5 minutes. I was at level 15 for maybe the last 3 minutes, and bumped it up to level 16 for the last 20 seconds. It said that I traveled over 2.75 miles in 20 minutes, but I’ll round down to 2.55 miles <– you’ll see why I added the extra 0.05 mile. It’s funny that the other people in the gym were staring at me when I hit level 15 and 16. They probably didn’t know the stairs can go that fast… or I looked like I was going to pass out and they were concerned. Treadmill: Started around 7.2 mph, and went up by 0.02 mph every couple of minutes until I hit 8.0 for a bit, then went back down to 7.2 and did it again. I was doing this on one of the treadmills and after 5 minutes, I hit .70 miles, but the machine suddenly stopped. How rude. I moved to a different treadmill and ran another 15 minutes and 1.75 miles. Breakfast was another PB&PB&B&CS sandwich. Michael was in the kitchen when I made this. I let him try a bite, and he had to make one for himself as well. I’m telling ya’ll, it’s going to be a thing. I also enjoyed a delicious cup of coffee WITH an add-shot from Michael’s espresso machine. I had about 2 tsp of Italian sweet cream creamer (the one with hydrogenated soybean oil… trans fat!). I’m trying to alternate the milk and creamer because I don’t want to have trans fat everyday. I plan on doing an Insanity workout with Michael, walking Vanna, and then eating the other half of my Subway sandwich. Any cool plans for your Tuesday? Yeah, stairmaster used to be hard at level 8 for me. It took me a long time to be comfortable at this pace.